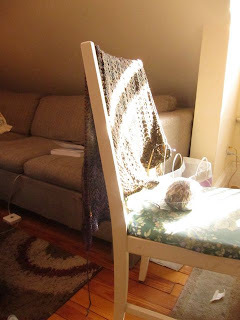 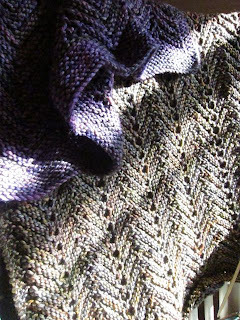 For the past couple of weeks I've been working tirelessly on a rather large lace shawl for myself. 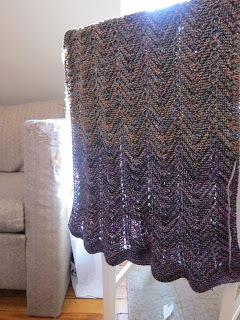 The pattern is very simple, a 4 row repeat of garter stitch with yarn overs and chevrons, but I just love it! 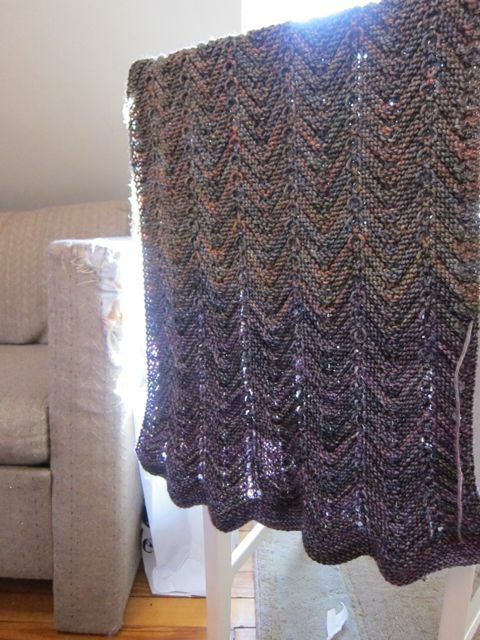 Also, it has pockets! 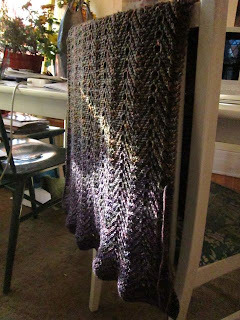 I'm on my 4th skein of 6. 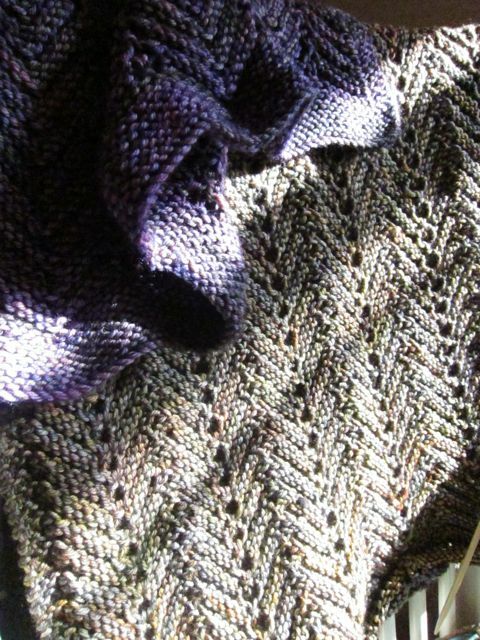 Knit on size 7 circulars with Malabrigo Rios.